As UN Habitat has underlined with the Urban Agenda 2016 in Quito/Ecuador, urbanisation in many parts of the world is a key challenge in ecological, social and economic terms. In how far are metropolitan visioning and cooperation able to contribute to sustainability in future city landscapes? This question has been tackled by many European cities in recent years. If we look, for example, at Amsterdam, Copenhagen, Helsinki, Milan or Munich, all of them have tried to develop innovative and more effective ways of regional cooperation to tackle urban sprawl and problems. In many cases regional cooperation has been inspired by visioning processes bringing together public actors, business stakeholders, researchers and civil society for exploring alternative metropolitan futures. The theoretical concept of Soft Spaces (Allmendinger et al. 2006) offers an analytical and conceptual framework for identifying potential fields of regional cooperation, e.g. public transport, green and blue infrastructure, settlement and housing, hospitals and social infrastructure or economic development (business clusters, inter-communal development sites, branding etc.). Soft Spaces are focused on functional linkages trying to make political and administrative boundaries more permeable. The presentation is based on the results of the research project “Soft Spaces in Europe. Re-negotiating governance, boundaries and borders“. It provides approaches of metropolitan cooperation from different European cities and discusses in how far the experiences are transferable to other metropolitan regions. 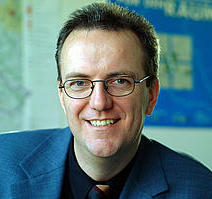 Joerg Knieling holds the Chair of Urban Planning and Regional Development at HafenCity University Hamburg (HCU). He graduated in urban, regional and environmental planning, and holds a master’s degree in political science and sociology and a Ph.D. from the University of Hanover. He is a member of the German Academy for Spatial Research and Planning (ARL), the advisory board of the German Ministry of Transport and Digital Infrastructure, and the World Future Council’s Cities and Climate Change expert commission. In 2016 he was Visiting Professor at Politecnico di Milano, 2008/09 ‘Directeur d'Etudes Associé’ of the Institute of Advanced Studies (IEA) in Paris. His main research fields are visions and strategies of sustainable urban and regional development, spatial development and climate change, and related aspects of territorial governance and planning theory. Recent publications have been on Cities in Crisis (2015), Soft Spaces in Europe (2015), Climate Adaptation Governance (2015, 2013), and Planning Cultures in Europe (2009).